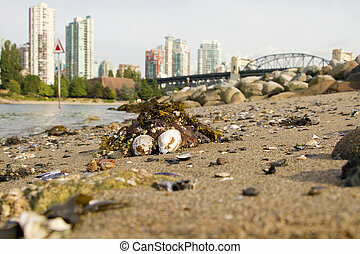 Low tide in vancouver. 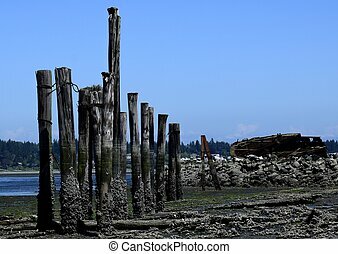 Lion gates bridge over vancouver harbour during the low tide (british columbia). 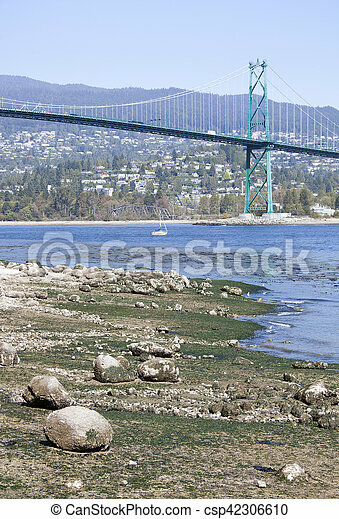 Lion Gates bridge over Vancouver Harbour during the low tide (British Columbia). 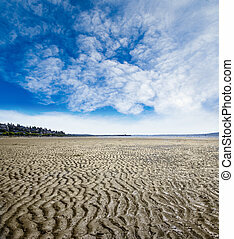 Rippled sand and mud beach created by low tide in White Rock near Vancouver, Canada. 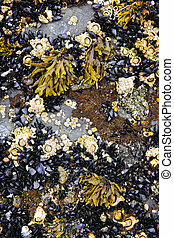 Beach background with copy space. 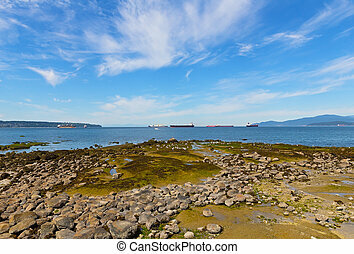 Landscape with exposed sea rocks, ships and mountains on horizon. 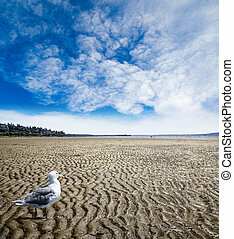 Seagull scavenging for food on the rippled sand and mud beach created by low tide in White Rock near Vancouver, Canada. 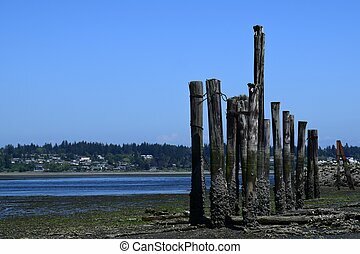 Beach background with copy space. 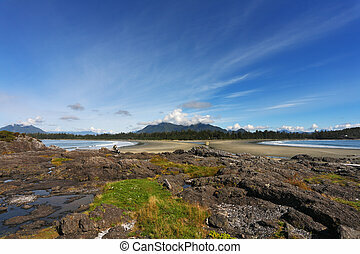 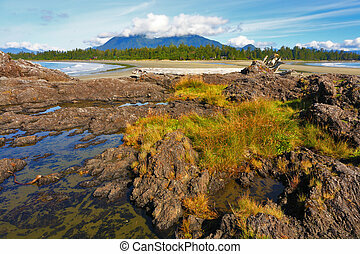 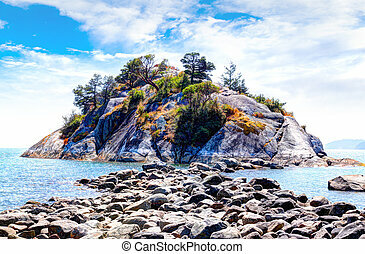 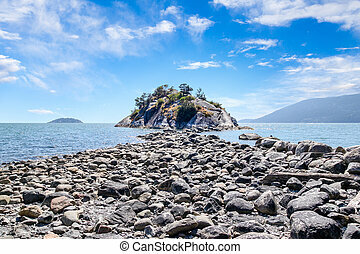 Exposed rocks on low tide lead to popular Whyte Islet Park on Whytecliff Island at Whytecliffe Park Beach in West Vancouver, BC, Canada near Horseshoe Bay. 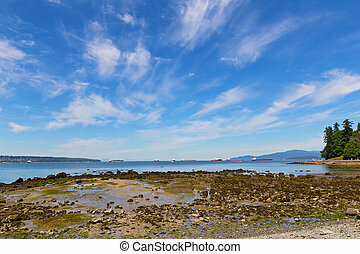 Sea with ships and mountains on horizon in Vancouver, Canada. 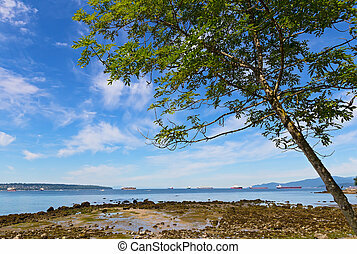 Sea landscape with ships in the roadstead in Vancouver, Canada. 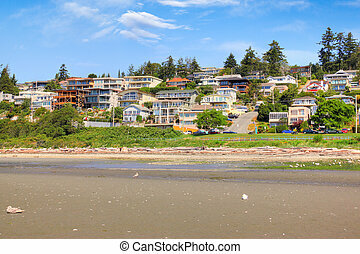 Low tide on the sandy beach at the popular quaint seaside community of White Rock surrounding Semiahmoo Bay near Vancouver in British Columbia, Canada. 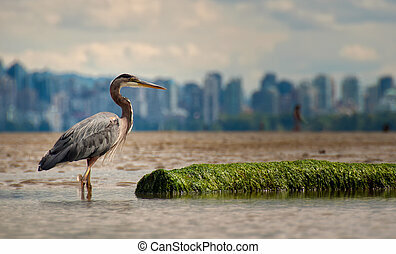 Heron standing profile view with log while fishing and Vancouver skyline in the distance.